Day of Giving 2019 – Join our Team! Greetings from the new Boerigter Center for Calling and Career! I am honored to join the staff of Hope College as the first executive director of the Boerigter Center. We have a great team of talented professionals working together to help students identify their gifts and get ready for life after college. Walking around campus for the past two months has been a bit surreal, bringing back fond memories of my days as a student in the early 1990s. I do have to admit to getting lost in some of the “new” buildings, which, for me, means anything built after 1994! So where have I been for the past 24 years? I took my psychology degree and entered into the business world, focusing on helping people learn and work together in organizational settings. I had the privilege of working in some large global companies like Accenture, Ford, and Visteon. I also spent five years at a technology startup (ThinkWise) developing talent management tools and services. 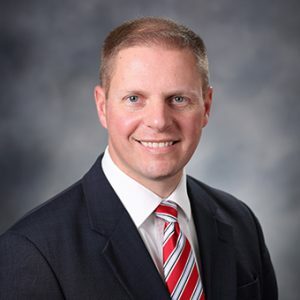 Most recently, I led multiple teams within the human resources department at Spectrum Health in Grand Rapids. Along the way, I earned a master’s degree in adult learning from the University of Michigan. The core and allied staff of the new Boerigter Center for Calling and Career, including Academic Advising, Alumni and Family Engagement. Joining the team at Hope this June has been an exciting change for me. I was attracted to the bold goal of the Boerigter Center to engage every student in career discernment, preparation, and pursuit. 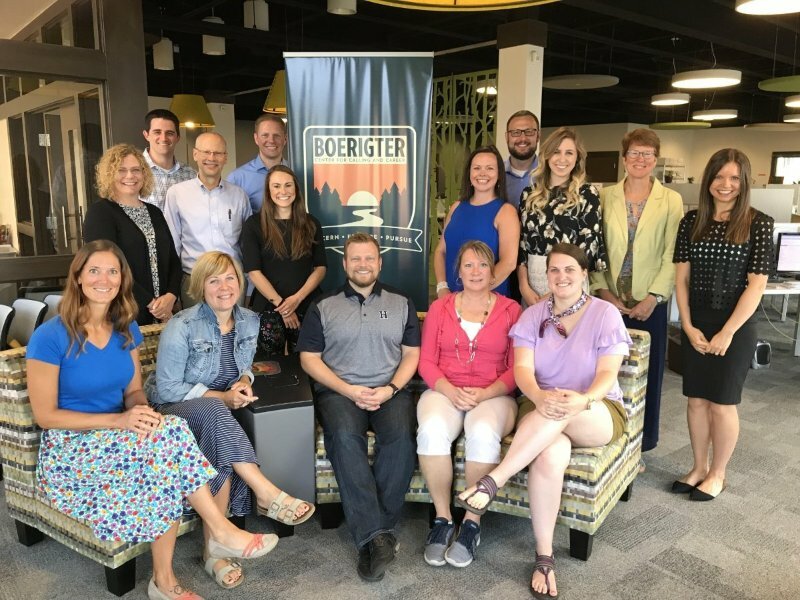 The staff of the former Career Development Center is now part of the Boerigter Center team, and we are combining forces with staff members from Academic Advising and Alumni Engagement to bring our mission to life. While many new students come to campus with career goals in mind, about one-third of new students come “undecided.” Building stronger campus partnerships and connecting with our broader Hope network will be beneficial for everyone. 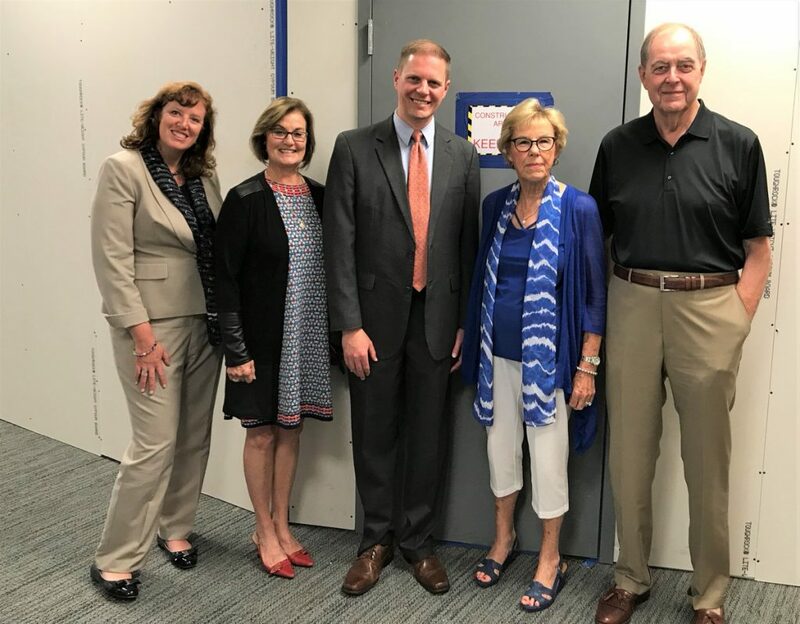 Cady Short-Thompson, Tish Boerigter, Shonn Colbrunn, Sibilla Boerigter and George Boerigter at the new Boerigter Center for Calling and Career in DeWitt. We have some exciting plans for this fall. We are renovating the first floor of the DeWitt Center to be our new home in the middle of campus. We are connecting with all freshmen to develop a rich understanding of their personal strengths. We are broadly expanding our DiscoverWork program to create more job shadowing experiences for students. And, we are launching an Employer Advisory Council to stay connected with the evolving needs of the labor market. Those are just a few of the plans underway for this fall, with many other great ideas on deck for the future. As family members (and perhaps alumni too), you are part of our incredibly strong and supportive Hope network that will help make our efforts impactful for students. I am looking forward to connecting with you in the coming months as we bring the Boerigter Center for Calling and Career to life!